FERC last week approved a nonconforming agreement between CAISO and the Salt River Project (SRP) that establishes the rules governing the Arizona utility’s participation in the Western Energy Imbalance Market. Publicly owned SRP has ownership interests in more than a dozen major natural gas, coal and nuclear generating stations. It plans to begin participating in the EIM in April 2020. “According to CAISO, the agreement [with SRP] differs from the pro forma EIM Entity Agreement in that it reflects the legal and regulatory issues unique to Salt River as a publicly owned utility under Section 201f of the Federal Power Act,” FERC noted in its order (ER19-539). 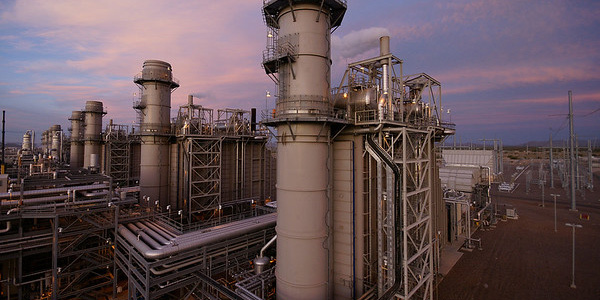 CAISO’s agreement with the Balancing Authority of Northern California (BANC) contained similar nonconforming provisions. (See SMUD Balancing Area Inks Agreement for EIM Membership.) FERC accepted that agreement in October 2018. The ISO’s agreements with the public entities are different in several respects from its agreements with private companies. For instance, CAISO’s agreement with SRP clarifies the utility is an exempt entity under FPA Section 201f and that it may terminate the agreement regardless of any action or inaction by FERC with respect to CAISO. The EIM agreements with SRP and BANC contain identical indemnity and liability provisions. And the CAISO-SRP agreement includes “language to address state law considerations unique to publicly owned utilities” that are modeled after the SPP Open Access Transmission Tariff, according to FERC. “Salt River asserts that these negotiated terms were important to its decision to move forward with participating in the EIM because they recognize Salt River’s exempt status under the FPA and provide Salt River with protection important to its ratepayers,” FERC said. “SPPA notes that, because Salt River is a public entity, its entry into the EIM will not be analyzed for market power implications, and that this may be the only opportunity the commission has to address issues associated with Salt River’s EIM participation,” FERC wrote. But the commission rejected SPPA’s comments as beyond the scope of the proceeding because the agency did not oppose SRP’s entry into the EIM or raise concerns regarding its agreement with CAISO. FERC noted that SRP would still be subject to the EIM Market Power Mitigation Procedures set forth in CAISO’s Tariff and that it is the job of the ISO’s Department of Market Monitoring to catch any market power issues. The EIM has been expanding across much of the West. Its current members include Arizona Public Service, Idaho Power, NV Energy, PacifiCorp, Portland General Electric, Puget Sound Energy and Powerex. The Sacramento Municipal Utility District plans to begin participating in the market in April 2019. The Los Angeles Department of Water and Power and Seattle City Light also are scheduled to go live in April 2020. Public Service Company of New Mexico recently received state regulators’ permission to join the EIM by 2021. FERC staff have accepted CAISO’s implementation agreement for Powerex to join the EIM but cautioned that the arrangement could be subject to further scrutiny. Salt River Project signed an agreement with CAISO that puts the utility on track to join with the Western Energy Imbalance Market in April 2020.